The Home Ministry has advised the Chandigarh administration to follow the notification issued by the Delhi government giving an exemption to Sikh women from wearing protective headgear while driving two-wheelers in the Union Territory. 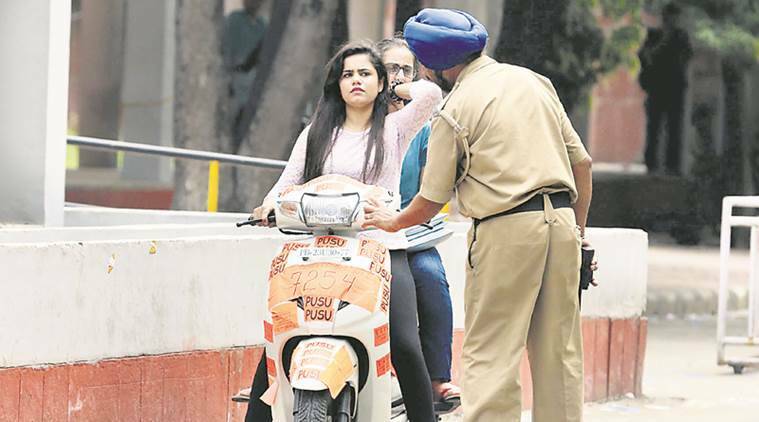 The Home Ministry issued an advisory on Thursday, asking the Chandigarh administration to exempt Sikh women from wearing helmets while driving two-wheelers. The decision came after Sikh bodies, led by Shiromani Akali Dal (Badal) chief Sukhbir Singh Badal, made a representation to Home Minister Rajnath Singh. The Delhi government’s transport department issued a notification on June 4, 1999, to carry out the amendment in Rule 115 of Delhi Motor Vehicle Act 1993, making it optional for women “whether riding on pillion or driving motorcycle to wear a protective headgear”. The rule was further amended through another notification dated August 28, 2014, whereby the word “women” was replaced by “Sikh women”.